Heavy-hitting power with classic Ampeg tone. 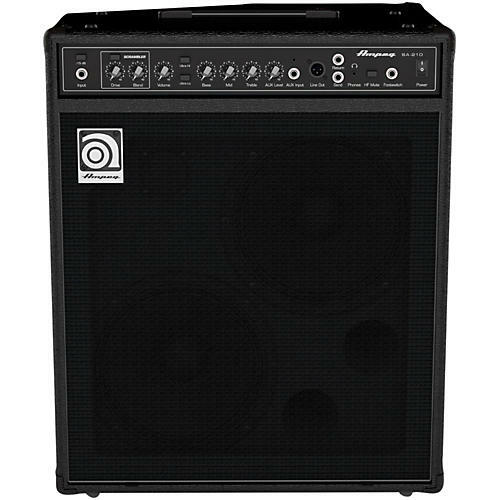 Ampeg's BA-210 2x10³ 450W bass combo delivers classic Ampeg tone and performance-driven features in a powerful 450W design perfect for keeping up with a full band. The ruggedly portable design provides a true 60-degree sound reinforcement monitor angle for added clarity on stage. The BA-210 features Bass Scrambler overdrive plus flexible tone-shaping and stage-ready features in a powerful 2x10³ combo.